Raymond Holmes, D.Min., is professor of worship and preaching, Theological Seminary, Andrews University, Berrien Springs, Michigan. Seventh-day Adventists consider Revelation 14:6, 7 a premier text on worship: "Then I saw another angel flying in midair, and he had the eternal gospel to proclaim to those who live on the earth to every nation, tribe, language and people. He said in a loud voice, 'Fear God and give him glory, because the hour of his judgment has come. Worship him who made the heavens, the earth, the sea and the springs of water' " (NIV). This passage says that for the end-time church worship has a particular flavor, with two major focuses. The flavor is the sense of urgency that comes with the realization that the church worships in the context of eschatological crisis. 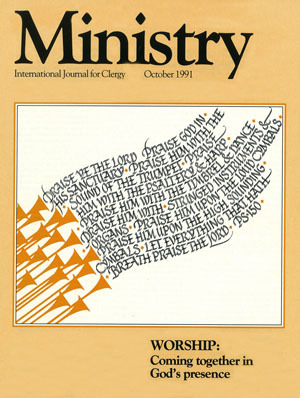 The two major focuses are proclamation and acclamation, both vital elements in authentic Seventh-day Adventist worship. 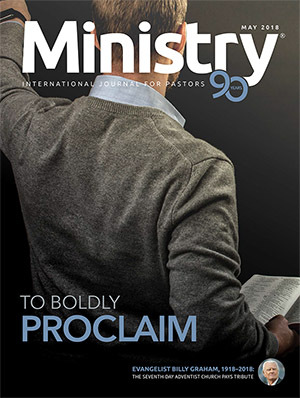 While urgency provides motivation for both preaching and praise, a balance between proclamation and acclamation is necessary to avoid distortion in worship. A congregation's praise is always in response to God's speech in Scripture and sermon. God speaks; His people respond. Authentic Adventist worship is Word-praise centered, admitting no dichotomy between proclamation and acclamation. 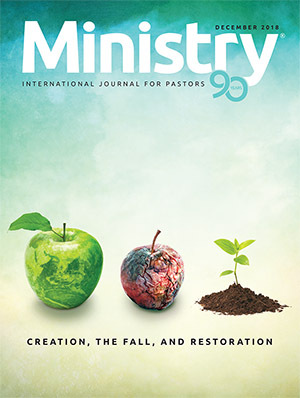 Balance between preaching and praise is assured by the preaching of "the old gospel doctrine, sorrow for sin, repentance, and confession"1 within the context of worship governed by order, discipline, and dignity.2 Expository biblical preaching is perhaps the best way to deal with the issues of emotionalism, fanaticism, and subjectivism in worship. 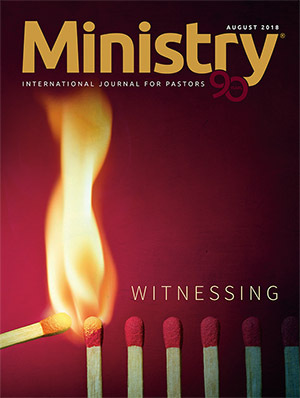 Such preaching "organizes our worlds, defines our identities, judges our activities, empowers our witness, publicly exhibits God's promises in Jesus Christ, offers Jesus Christ Himself, and evokes our freedom as 'persons' to respond to God or to reject Him." 3 When God's speech takes precedence over human response, balance in worship poses no problem. Old Testament preaching pointed to a future saving act of God in history. The New Testament community proclaimed and acclaimed this saving activity in Christ. New Testament preaching also looked forward to the final saving act of God in history, the second coming of Christ. Christ—the one who redeems us from sin, who is our Lord, who is seated at the right hand of the Father and serves as the high priest, and who at the completion of His heavenly ministry will return to the earth to take His people home—is the center of the Adventist faith. We belong to Christ. Corporately, we are called the "body of Christ," and are exhorted to glorify Him by lives that are in harmony with His will for His church (Rom. 12; Eph. 4:17-6:18; Col. 3:1-4:6; 1 Thess. 4:1-5:11; Heb. 12:1- 13:21; 1 Peter 1:13-5:11). 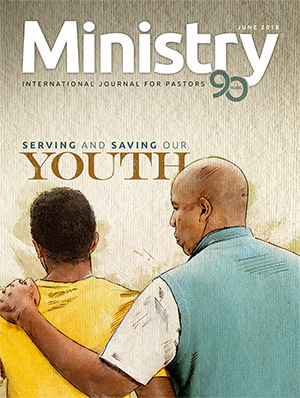 Consequently, in its worship the last-day church responds to the preaching of the "eternal gospel" by giving God "glory": turning to Him in prayer, eagerly listening to His Word, singing hymns of praise, affirming the redemptive experience of grace through a life of surrender and witness. Thus, worship, especially in acclamation, reveals the radical nature of Christian experience. A renewed life of praise in response to His Word would naturally result in a renewal of both worship and evangelism. As we respond to experiments in worship, let us stay in balance, and not take extreme positions that might cut off genuine worship renewal. Consider, for example, the position that because we are living in the antitypical day of atonement, praise is inappropriate. Penitence is an important part of worship, but if it became the primary focus to the neglect of praise, worship itself would tend to become distorted. The good news of forgiveness of sin and the promise of the Lord's soon return are certainly cause for rejoicing among God's people, and can be legitimately expressed in worship. The point is clear: When one is faced with new ideas and expressions in worship, careful consideration, investigation, analysis, and education are required so that extremists do not deter mine the outcome. One such expression is "celebration worship." In the past some pastors have used "celebration" in reference to worship, but now, unfortunately, the expression is rapidly becoming a loaded term—so loaded that some people are alarmed by its very use and conjure up all kinds of bogeymen when they hear it. But the concept of joyful celebration is found throughout the Bible (Ex. 10:9; Matt. 26:18; Luke 15:24; Rev. 4-5; 11:10). Fairness and objectivity demand that we avoid uninformed accusations about the term and about those who use it. 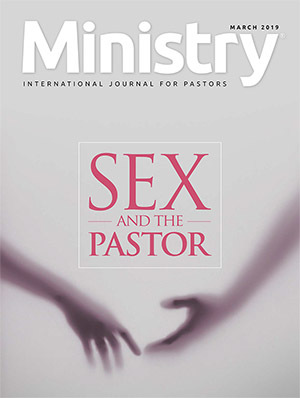 While we acknowledge the commendable motives of pastors attracted to celebration worship, the concept should not be accepted by an Adventist congregation without careful scrutiny. And such an inquiry should be based on sound worship principles rather than on misrepresentation and character assassination. 1. The service had the flavor of entertainment. The place of worship was not a sanctuary with an architectural focus on pulpit and Communion table, but an auditorium focusing on a large stage. With such a setting it was natural for the participants to function more like performers than worship leaders. The setting and the music, though tastefully done, made clapping seem natural as well. Good-quality religious entertainment has its place, but not in authentic Adventist worship. 2. The service had a subjective approach. The service touched the emotions on a superficial level, as is true with entertainment, and not on the deep level addressed by the preaching of both law and gospel. I gained the general impression that many in the audience got the feeling that worship had taken place if they felt good about the service and, in the process, about themselves. 3. The service seemed to stress as its major element celebration, giving expression to praise. Praise preceded the sermon and permeated everything that was done and said. However, in authentic Adventist worship praise is but one of the many elements that contribute to a balanced and wholistic worship experience. To make it the major element is to dislocate the entire worship service, denigrating other vital elements such as confession, contrition, thanksgiving, proclamation, teaching, ordinances, testimony, dedication, and sacrifice in giving and serving. 4. Praise came too early in the worship service. Acclamation in worship is a response to the Word of God, read and preached, in which the redeemed sinner praises God the Father who is the Creator and God the Son who is the Redeemer. Human experience must never replace God's Word in authentic Adventist worship. 5. Contemporary gospel songs dominated the service. Because they tend to touch only superficial emotions, con temporary gospel songs can never take the place of the great hymns of the church. They cannot accomplish what those hymns do. The hymns in The Seventh-day Adventist Hymnal rose out of the Christian community's struggle for survival in a hostile world. The great hymns, anthems, and chorals of the church fortify conviction and faith even as they touch emotions on a much deeper level. Paul's exhortation to the Ephesian congregation certainly must be taken seriously by worshipers today: "Speak to one another with psalms, hymns and spiritual songs. Sing and make music in your heart to the Lord, always giving thanks to God the Father for everything, in the name of our Lord Jesus Christ" (Eph. 5:18-20, NIV). The temptation today is to move away from this injunction and to adopt religious "pop" songs and music. We must guard against rejecting that which is historical in church music for the contemporary fad of praise choruses. The fundamental point in Christian music is that it is not simply subjective emotional expression in an entertainment setting, but that it has as major content the confession of sin and of faith in a setting of reverence and adoration. Just like many of the Old Testament psalms, the hymns and songs of the Christian community from New Testament times recall the mighty acts of the Lord in providing for mankind's redemption. The primary focus must always be on the confessional exaltation of Jesus Christ as Saviour and Lord. 6. The order of service was different, but changing the format of worship in itself does not produce revival. Revival follows the kind of heart-searching that leads to confession, repentance, and transformation of life. And that is possible not by turning to a form of liturgical shuffling, such as in celebration worship, but to our spiritual sources: Scripture and the Spirit of Prophecy. Revival comes when and where there is uncompromising proclamation of the Word of God, the preaching of the whole gospel, and the rejection of error. Celebration worship may be nothing more than a liturgical comet, dazzling on the way to a fade-out, leaving only a memory. Still, serious questions arise concerning this phenomenon flashing across the Adventist sky: 1. Where will it ultimately lead us? 2. To what extent is it a form of neo-Pentecostalism? 3. How far afield are we willing to look for inspiration today? 4. 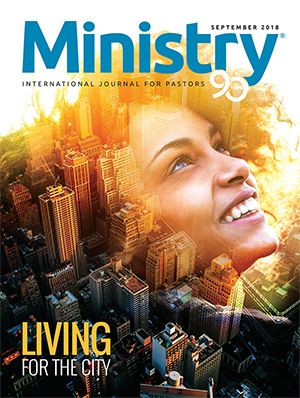 Can inspiration no longer be found in the message and mission of the Seventh-day Adventist Church? 5. Is the real problem with the theology that supports celebration worship and informs the preaching that takes place in that context? Unlike the Lutheran or Episcopal traditions, Adventist worship has much variety. Its liturgy is part of the free church legacy, and this increases rather than decreases the responsibility for planning worship services that bring people into God's presence, to hear Him speak and to respond in appropriate praise. On a liturgical spectrum extending from low church to high church, the Seventh-day Adventist Church is some where between low and the midpoint. 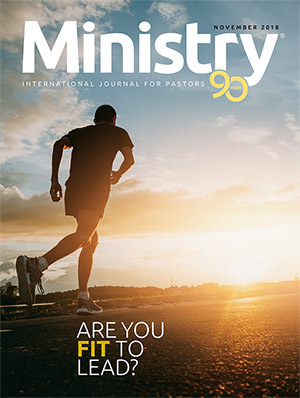 Adventist worship, even in the most prestigious institutional churches with formal and carefully planned services, cannot be classified as high church. What we have is a low church worship with a basic structure and order, but marked by a broad sweep of variations. 1. Theocentricity. 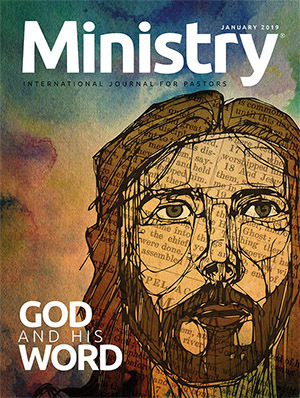 Seventh-day Adventist worship views God, not the worshiper, as its center. To say of worship "It doesn't meet my needs!" or "I don't get anything out of it!" suggests that the worshiper is at the center. Worship is not just another entree in a smorgasbord of activities planned to meet every possible human need. When the major focus of worship is on meeting needs rather than on giving glory to God, the Word of God gets buried beneath the rubbish of human self-elevation. Consequently, worship loses its real value. Certainly God desires that human needs be met, but the deepest human need is to be in God's presence in faith and submission. Because "the main gift we receive is God,'' 8 the meeting of human need is a gracious by-product of theocentric worship. 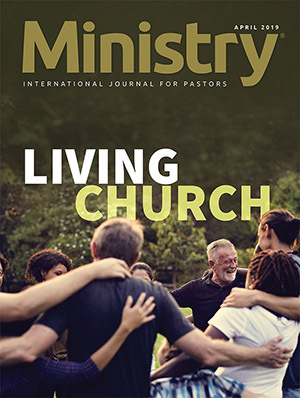 Pastoral responsibility demands that ministers lead their congregations to experience the highest, the loftiest, the most majestic, in worship. 3. Illustrating belief. The distinctiveness of Adventist worship is to be found in what we believe and teach. 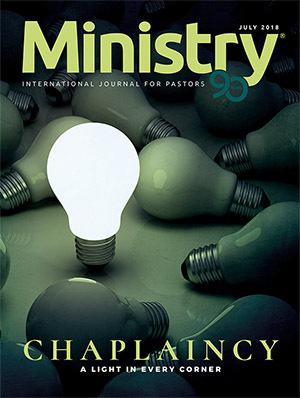 It cannot come by copying either the high church or the charismatic service. Instead, our worship must illustrate our belief, pro claim our mission both audibly and visibly, and make a clear statement as to why the congregation has gathered. When worship does not illustrate what the church believes, when worship gives importance to celebrating events in secular history rather than redemptive history, such worship is ambiguous. Liturgical ambiguity does not permit theme, direction, or unity in worship. 5. Avoidance of extremes. Satan's plan is to tempt the church toward either of two extremes: emotionalism or cold formalism, subjectivism with no objective base or objectivity with no subjective response, pure emotion without the Word or the Word without praise. When acclamation becomes the sole point in worship, extremes threaten. 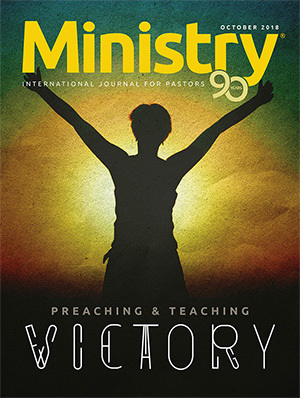 Often the sermon is denigrated, leading to either elaborate liturgies or charismatic manifestations in which shouting, clapping, and swaying are encouraged. If crowds are attracted to such gatherings, the church might even convince itself that increased attendance is an evidence of growth and spirituality. What is needed is balance. Acclamation, giving expression to praise in song or testimony, is one of the vital elements in a balanced and holistic worship experience. It cannot replace other vital elements, nor can it be overshadowed by them. Authentic Adventist worship must take place in a framework of "disciplined liberty," 13 subject to norms and conditions derived from the Adventist understanding of the faith based on texts such as Revelation 14:6, 7. The corporate Adventist worship experience can always be improved in order that it might become more of what it should be. But while we seek for worship renewal and improvement, let us do so conscious of the need for the inclusion of all the essential elements. 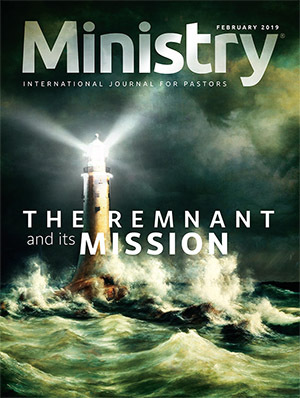 Let authentic Adventist worship be permeated by the flavor of urgency provided by the eschatological crisis, and let it always maintain in balance the two focuses: proclamation and acclamation. 1958), book 2, p. 19. 2 Ibid., pp. 35, 41, 42.
ing," The Covenant Quarterly, February 1990, p.
Theological Society, vol. 2, No. 1 (Spring 1991). 6 Ellen G. White, in Review and Herald, Dec.
Springs, Mich.: Andrews University Press, 1984). Judson Press, 1981), p. 34.